Knitting History Forum shared a post. A TRC exhibition on knitted footwear will open this autumn, based on the TRC Silk Stocking project and the recreation of the 17th century silk stockings recently found in a shipwreck off the coast of Texel, The Netherlands. Hence the title: SOS, an informal Dutch term for Sokken, Overhemd of Stropdas ('Socks, shirt or tie'). The Self Improvement Club was formed in Seattle to knit socks and send packages to African American combat soldiers in WW1. Later, as a social/service club, they celebrated Christmas OTD in 1950. 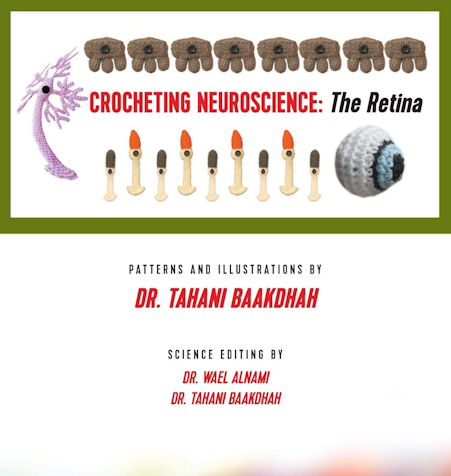 In the twenty-first century, Dr Tahani Baakdhah of the University of Toronto makes models in crochet to illustrate her research on stem cells in the retina and promote science literacy. 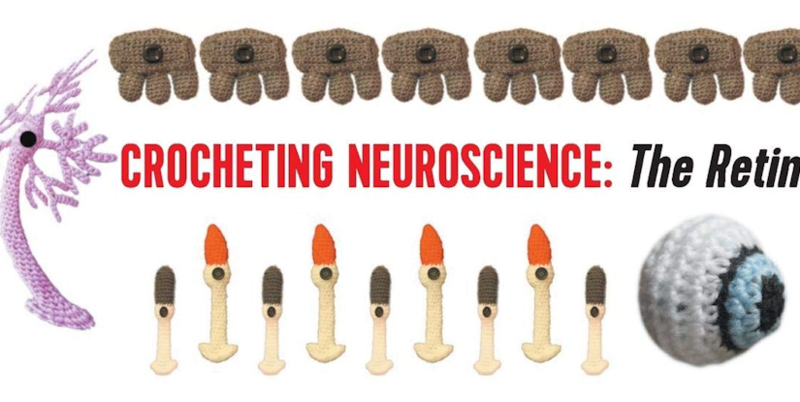 She has just published a book of patterns, ‘Crocheting Neuroscience: The Retina’. In the nineteenth and twentieth centuries British chemist and mathematician, Alexander Crum Brown (1838-1922), also made teaching models using a variety of techniques including knitting. Some of Dr Crum Brown’s models, including multi-dimensional knitting demonstrating his mathematical work on inter-penetrating surfaces, are shown in this article from the National Museums of Scotland blog https://blog.nms.ac.uk/2017/11/15/alexander-crum-browns-mathematical-models-interpenetrating-models-of-beknottedness/, and it is really encouraging this connection between textiles and teaching science continues today.